The wholesome Scandinavian image of furniture and lifestyle giant Ikea has been rudely shaken by a new book which claims the company is hostile to foreign employees and uses Stasi-style secret police methods to spy on its thousands of staff worldwide. 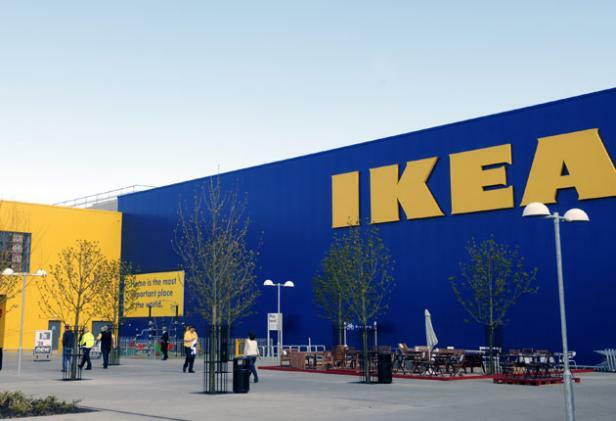 The explosive charges are made by a former senior Ikea executive Johan Stenebo, a Swede who started working for the company at one of its German outlets outside Hamburg over 20 years ago and rose to a senior management position. He resigned last year. Mr Stenebo claims that Ikea, which employs 135,000 staff in 44 countries, is run with an iron fist by founder Ingvar Kamprad and his two sons Mathias and Peter, who were promoted to top management five years ago. He describes Ikea as “one of the most secretive companies in the world” and claims that senior management were expected to show fanatical loyalty and devotion to Mr Kamprad. “There was an unwritten law for Ikea upper management: loyalty to Ingvar unto death,” he writes. He alleges that Ikea used methods normally associated with former Communist East Germany’s hated Stasi secret police to spy on its staff and keep them in line. He claims that a close-knit network of company informers kept Mr Kamprad constantly updated on personal gossip about employees and the prevailing atmosphere in each office. Foreigners who work for Ikea have been referred to by Swedish executives as “niggers”, he writes, and have no chance of being promoted to senior positions. In fact, most of the top Ikea jobs, he claims, go to employees from the town of Älmhult, in the Samaland region of Sweden, where Mr Kamprad grew up. Mr Stenebo claims Ikea has elaborately manipulated the image of its 83-year-old founder, now the world’s fifth-richest man, portraying him as “an ascetic, slightly dim geriatric” with alcohol problems and dyslexia, and confecting for him a typical Ikea lifestyle of modest, affordable simplicity, with a Klippan range sofa and the bog-standard Billy bookcase. In reality, he writes, these stories were made up by Mr Kamprad (who actually drove a Porsche), then disseminated by media which fell for their quaint charm. There was good business sense to the strategy, he says: the company’s homely image “helped to push down prices with suppliers”. Mr Stenebo insists that he chose to write his open denunciation of Ikea after a furious row with Mr Kamprad’s son Peter. “Economic power means a responsibility towards people and the environment, but Peter does not understand that,” he claimed. The book has attracted enormous media attention in Sweden, with its unprecedented attack on a national institution by one of its former senior executives. The last time the furniture giant came in for such negative publicity was more than a decade ago when Mr Kamprad senior was unmasked as having been a wartime member of a Swedish pro-Nazi organisation. More people need to read about this.